Smiley’s Birthday is here, which means it’s time to party with 99-cent kids’ meals*, now through June 30th. Plus, all kids who visit during his party will receive a special Smiley treat bag containing a Smiley tattoo, sticker, wristband, and their choice of apple or Smiley Cookie! 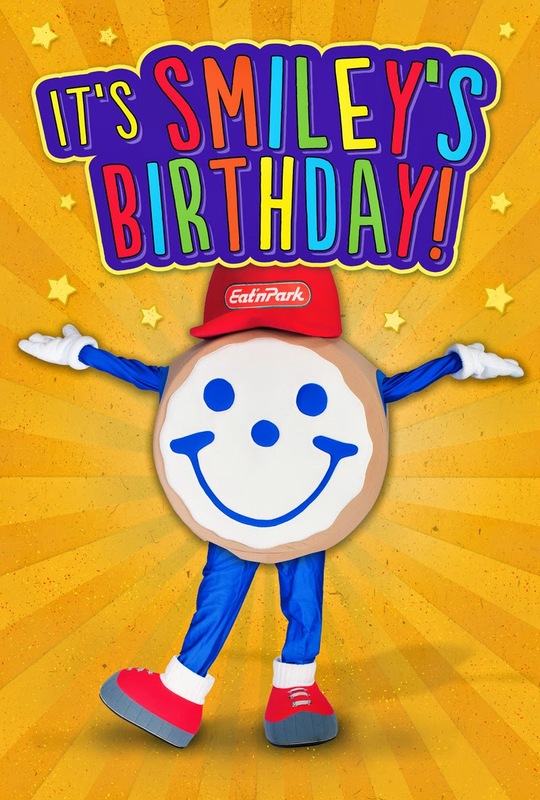 Plus, Smiley will be making birthday appearances at many of our locations - just click here to see if and when he’ll be visiting YOUR Eat’n Park. 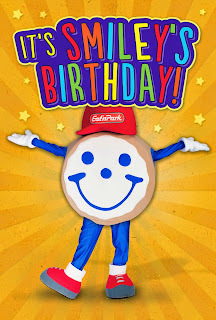 Kids can personally wish Smiley a happy birthday, as well as decorate their very own Smiley Cookie. And last, but certainly not least, Smiley will be celebrating his birthday with his friends at the Pittsburgh Zoo and the Pittsburgh Pirates. On Saturday, June 13th, Smiley will be throwing out the first pitch at the Buccos game. All those in attendance will receive a scratch & win ticket for Eat’n Park! And if you haven’t been to the zoo yet this summer, you should stop by during Eat’n Park Family Week, June 13th-20th. Smiley will be visiting on June 13th, 19th, and 20th. It’s bound to be a wild time! Smiley’s Birthday ends on Tuesday, June 30, 2015. Hi! That's right! Also, our kids menu is for children 10 and under. Can you only get one 99¢ kids meal per adult meal? We do not have a limit on the amount of 99-cent kids' meals per adult meal! Enjoy!